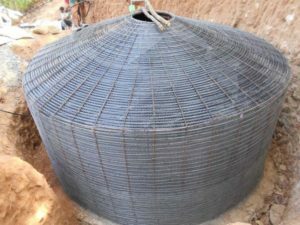 Ferrocement is a type of thin reinforced concrete in which the cement mortar is reinforced with small diameter steel wire meshes at close intervals. 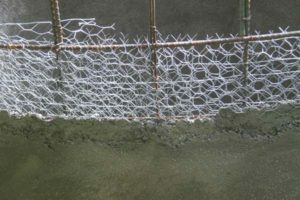 The mortar gives the mass and the wire mesh contributes tensile strength and ductility of the material. As a result, the concrete shows a high tensile strength to weight ratio and excellent cracking performance. It is also known as ferroconcrete. 1. It can be fabricated into any desired shape. 2. The tensile strength of ferro-cement is very high than conventional concrete. 3. 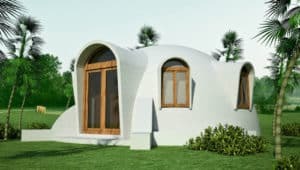 The structures made with ferro-cement are thin and lightweight. 4. Construction procedure is easy, quick and no skilled labours are required. 5. Formwork is also not required in such construction. 6. Precast members can be suitably manufactured by using this type of concrete. 7. Maintenance cost is very low, almost nil. 8. It is fire, corrosion, and earthquake resistance.